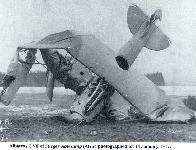 Осенью 1916-го на "Альбатрос" установили достаточно надежный и хорошо отлаженный в производстве 200-сильный мотор "Бенц". 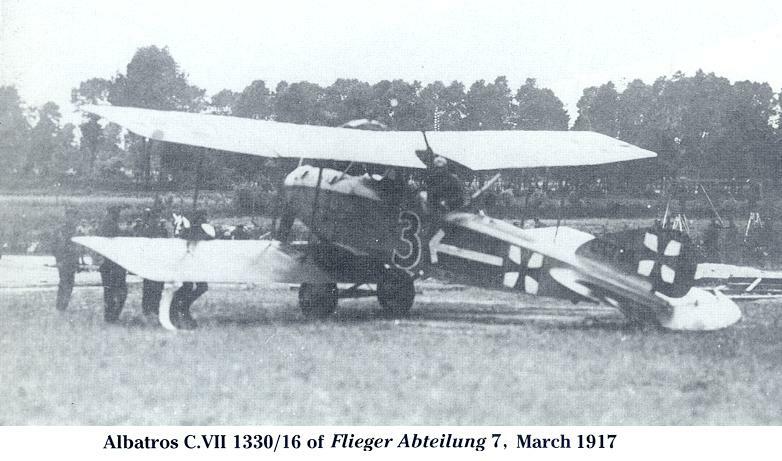 Новую модификацию обозначили C-VII. 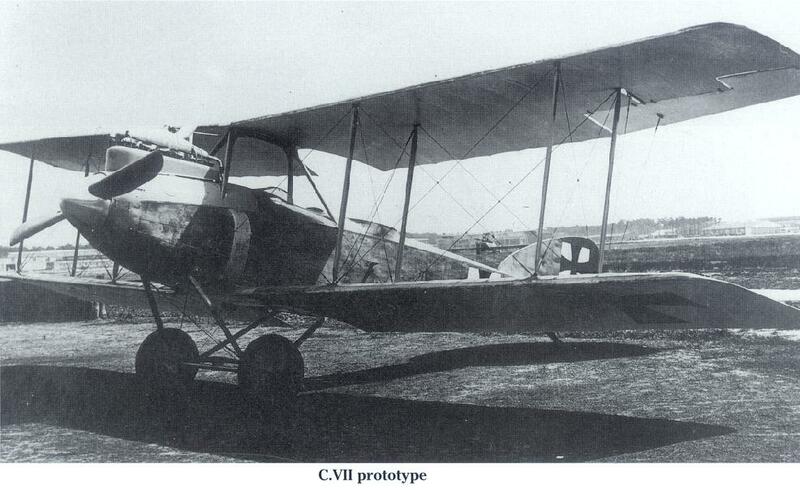 Кроме силовой установки, она ничем не отличалась от C-V/17. На предприятиях фирм OAW и BFW построено свыше 600 экземпляров C-VII. 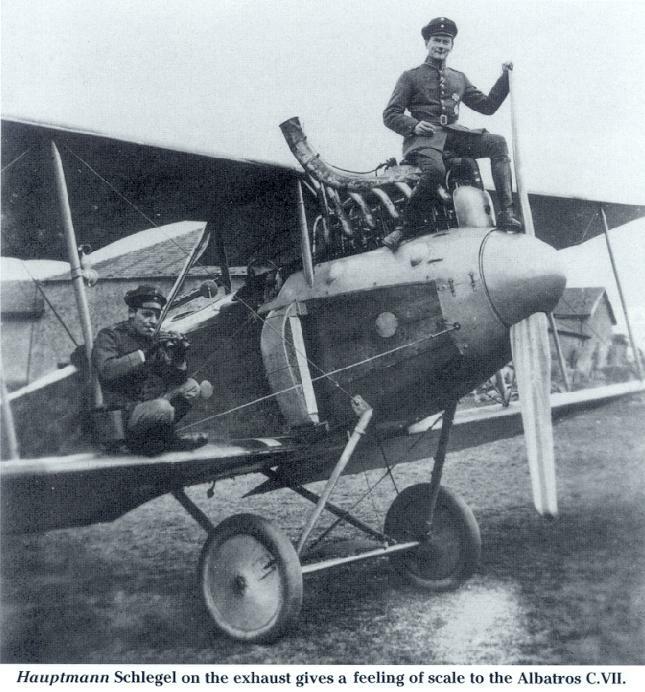 Первые из них попали на западный фронт в декабре 1916 года. А уже в феврале 1917-го там насчитывалось более 350 аппаратов, входивших в большинство немецких разведывательных авиаподразделений. Самолет быстро завоевал популярность благодаря выдающейся легкости пилотирования. Особенно удивляла простота приземления. Говорили даже, что стоит лишь выключить мотор и отпустить управление, как C-VII сядет самостоятельно. При этом все остальные летные данные также были вполне приемлемы. Очередной модификацией "Альбатроса" стал ночной бомбардировщик C-VIII (другое обозначение - N-1). Для повышения бомбовой нагрузки и улучшения взлетно-посадочных характеристик на нем увеличили размах и площадь несущих поверхностей. На самолет установили трехстоечную бипланную коробку с элеронами на обоих крыльях. 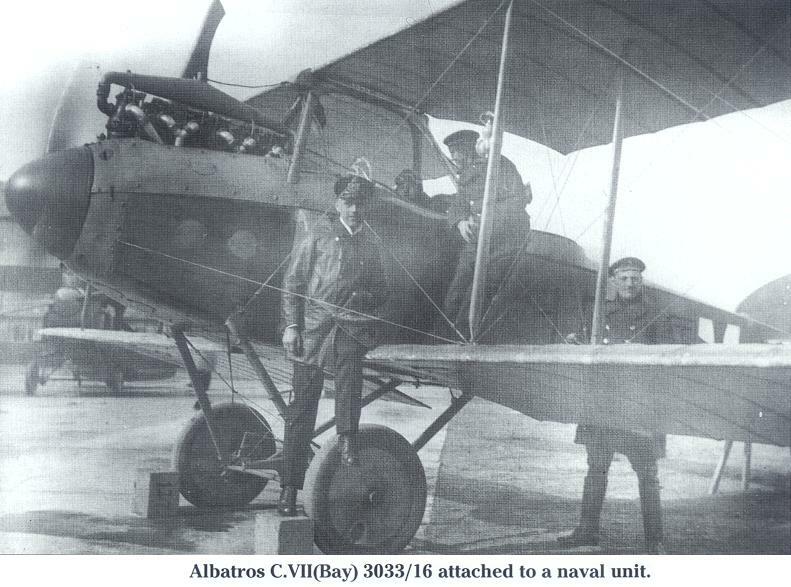 C-VIII применялся на западном фронте с начала 1917 года. "Мерседес"D.IV, 220 л.с. (C-V) или "Бенц"Вz.IV, 200 л.с. 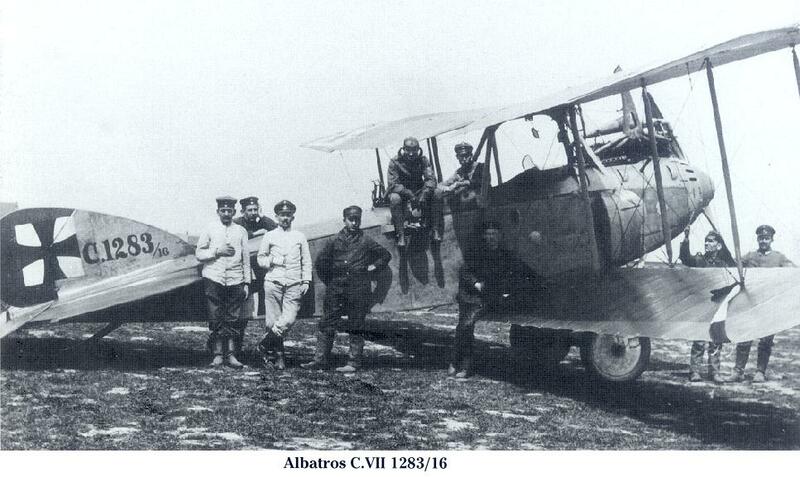 (C-VII) или "Мерседес" D.III, 160 л.с. (C-VIII). Стрелковое: 1 х 7,92-мм синхронный пулемет "Шпандау" 08/15 и 1 х 7,92-мм турельный пулемет "Парабеллум"
Бомбовое: до 180 (на C-VIII - до 300) кг бомб. 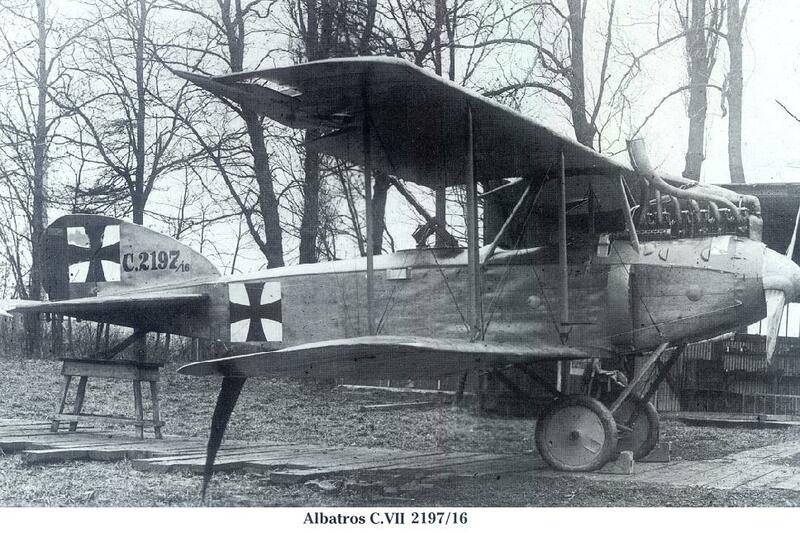 As soon as Albatros realised production of the C V was likely to be abbreviated by the vagaries of its engine, immediate consideration was given to the production of a successor to obviate any breakdown of output. 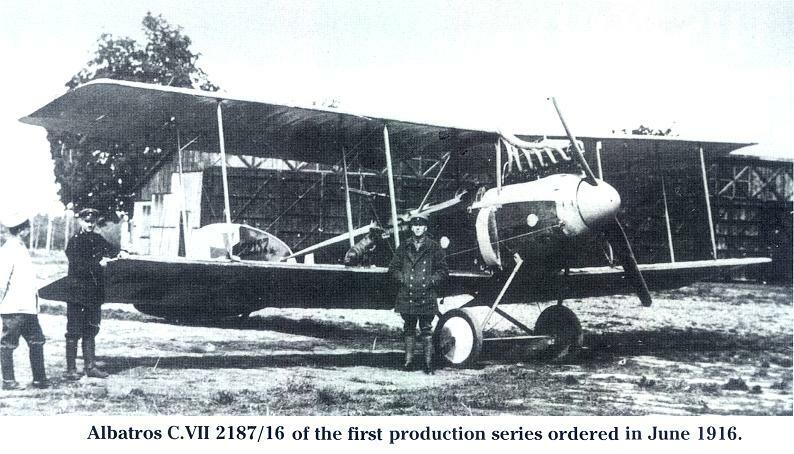 In numerical sequence the C VI came next, but this was a retrograde design which was not put into production. 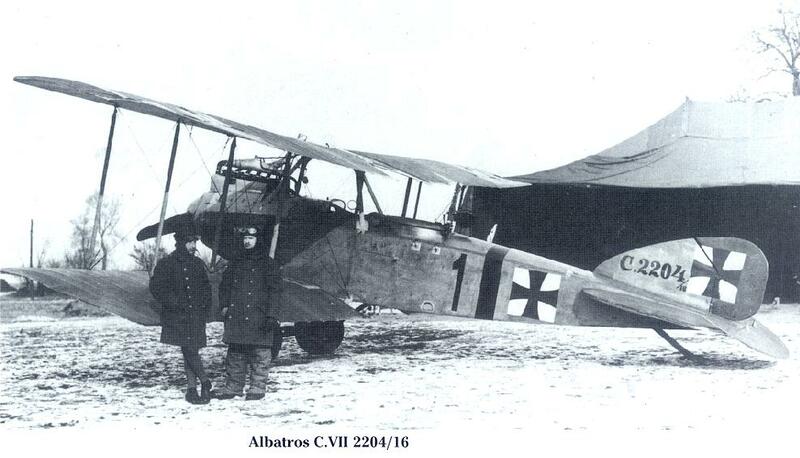 Thence followed the Albatros C VII. 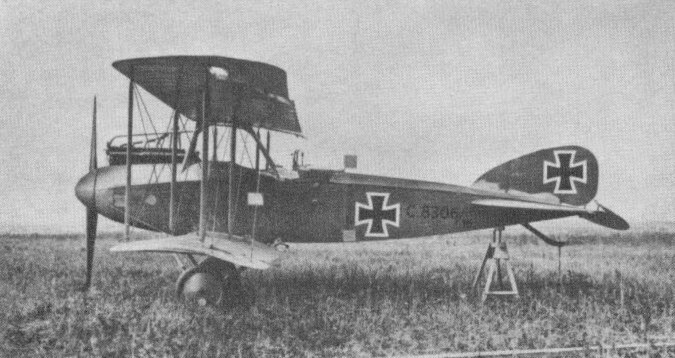 It was realised this would be little more than a "stop-gap" aeroplane until the design of a two-seater was finalised utilising the more powerful 260 h.p. Mercedes engine soon to be available in quantity. 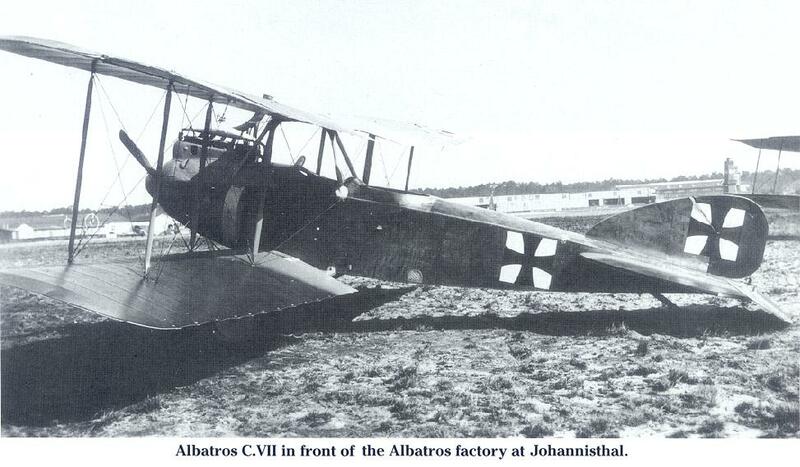 It was therefore decided to use as many standard C V components and sub-assemblies as possible to ensure a speedy replacement, and recourse was made to the well-tried and wholly reliable 200 h.p. Benz Bz IV engine. 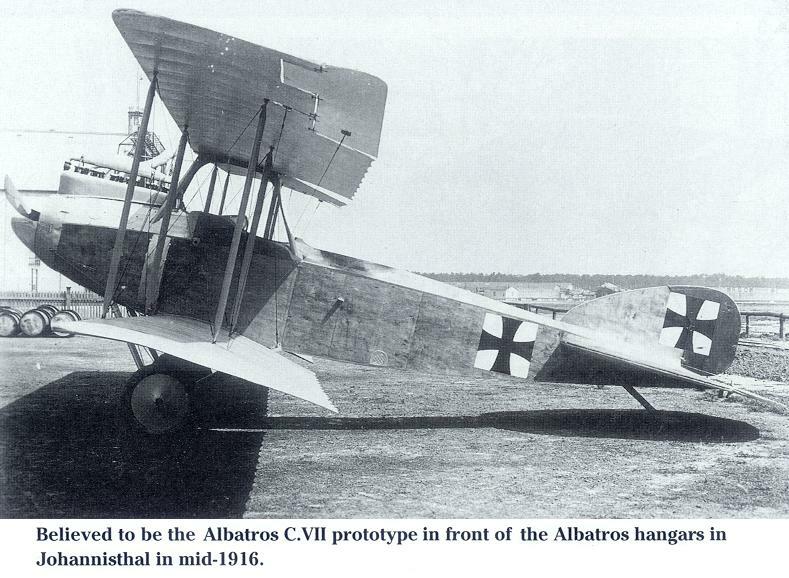 Reference to the illustrations will show the C VII to be superficially something of a hybrid C V/16 and C V/17. In the past all these types have been apt to be confused and invariably wrongly captioned. Their individual characteristics may now be recognised. 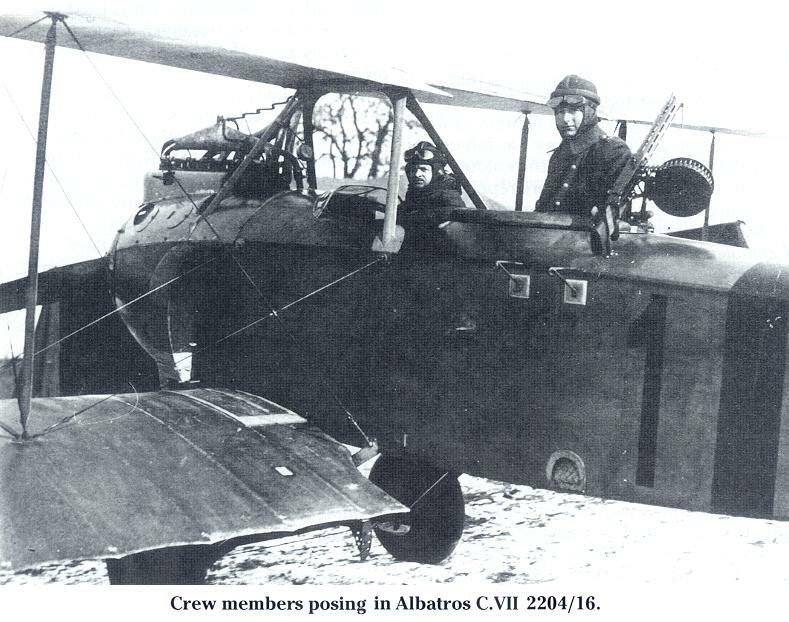 In fact, the C VII was immediately distinguishable from the C V types by cylinder block, which protruded well above the metal inspection panels which covered the nose section. 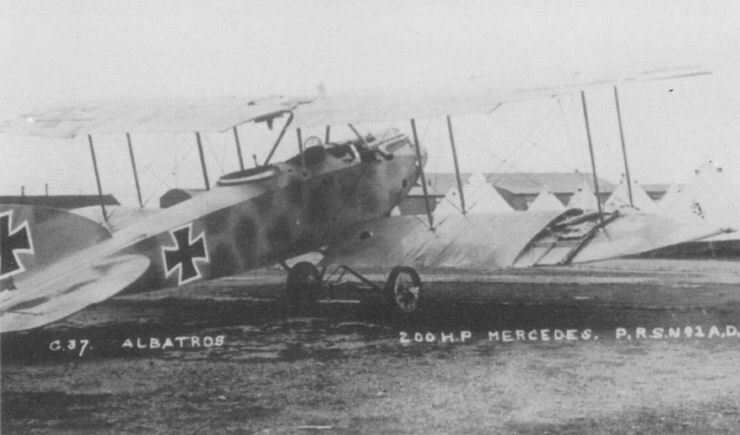 Although similar in appearance to the C.V, the fuselage had to be considerably re-worked to accommodate the Benz engine (which was considerably shorter than the 220 h.p. Mercedes it replaced) and its varied accessory components. 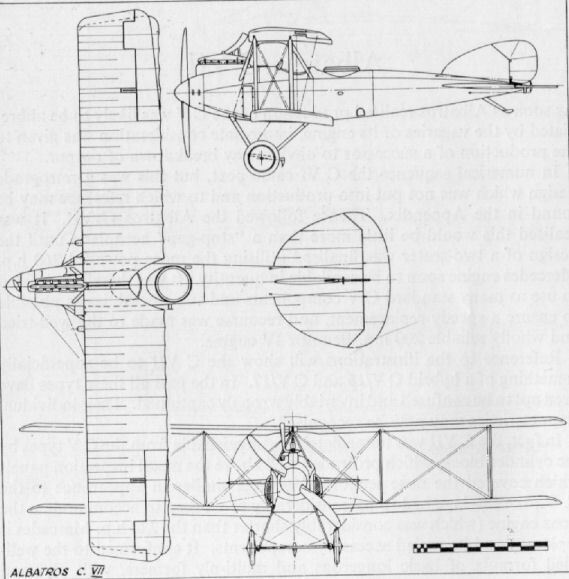 It conformed to the well-tried formula of basic longerons and multi-ply formers, with plywood covering and no internal bracing. 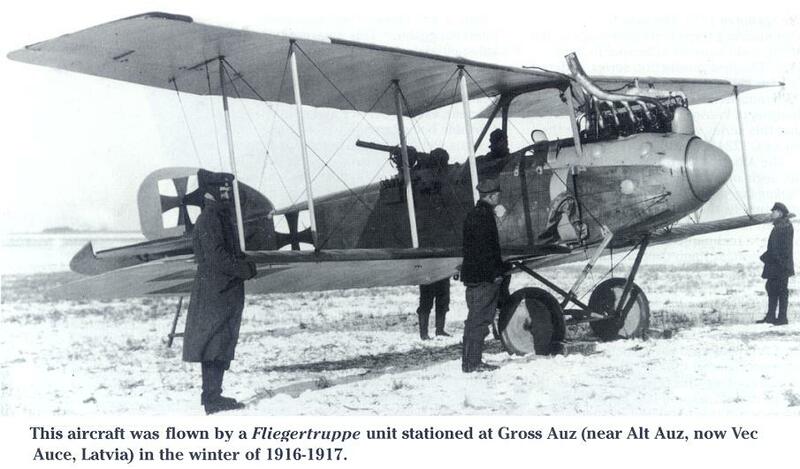 Once again the radiators were placed on the fuselage sides, just above the leading-edge of the lower wing. 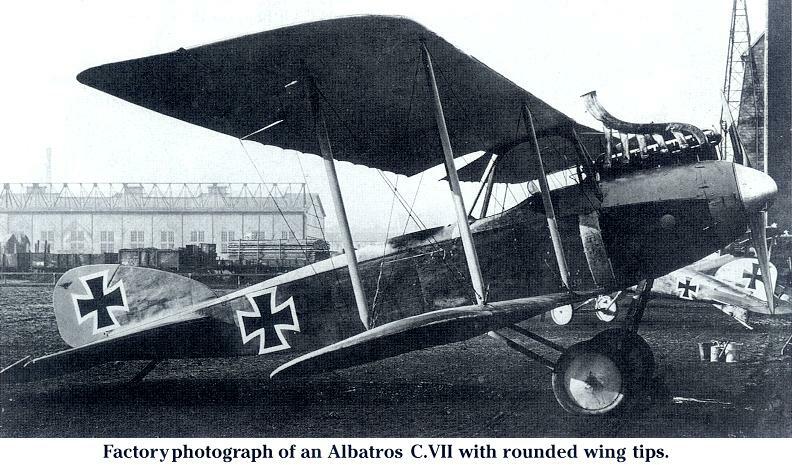 The usual two-bay cable-braced wings were a mixture of both C V series machines, the upper wing being of the 1917 type including ailerons, but without the centre-section radiator; the lower wing reverting to the angular raked tip of the C V/16. The complete tail assembly was identical to that of the earlier machines, as was the complete undercarriage chassis. 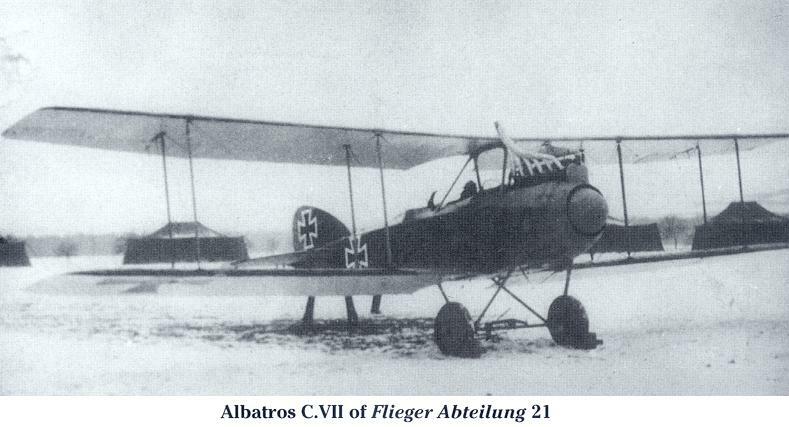 The tailskid was of the same internally-sprung arrangement as that of the C V/17, and the complete cockpit controls of that aircraft were also retained. 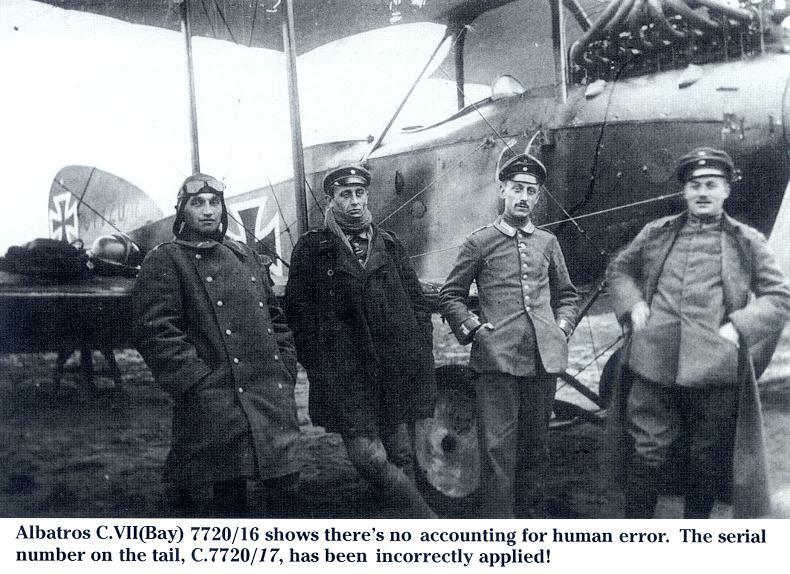 As so often happens with a "stop-gap" machine, the C VII proved to be an extremely successful and well-liked aeroplane. It was reported to be comfortable and not tiring to fly, and landed without undue tendency to "balloon", as was often the case with two-seaters of comparatively light wing loading. 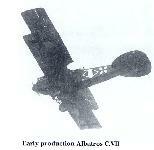 It was widely used by the Fl. 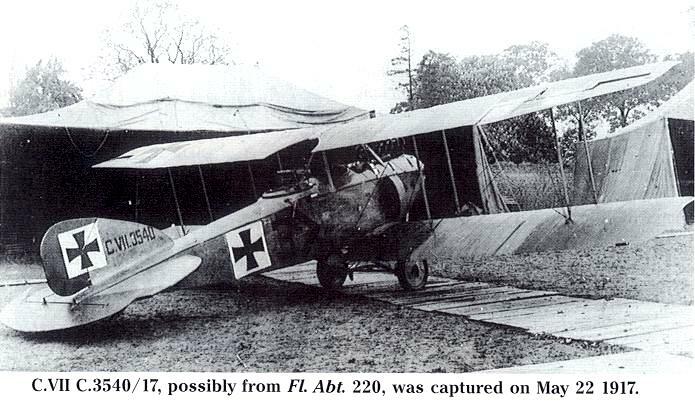 Abt. and Fl. 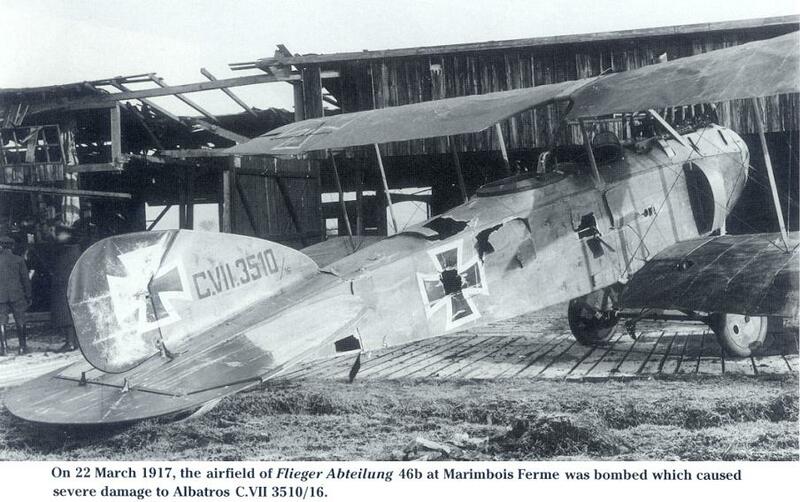 Abt. 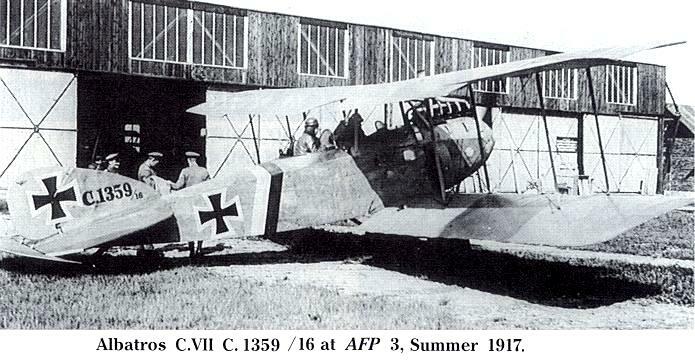 (A) Flights on reconnaissance and artillery observation patrols towards the end of 1916, and as many as 350 were serving on all Fronts by February 1917. 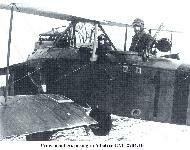 Purpose: Two-seat long distance and artillery observation. Power Plant: 200 h.p. Benz Bz IV 6 cylinder in-line, water cooled. Dimensions: Span, 12.780 m. (41 ft. 11 1/4 in.). Length, 8.700 m. (28 ft. 6 1/2 in.). Height, 3.600 m. (11 ft. 9 3/4 in.). 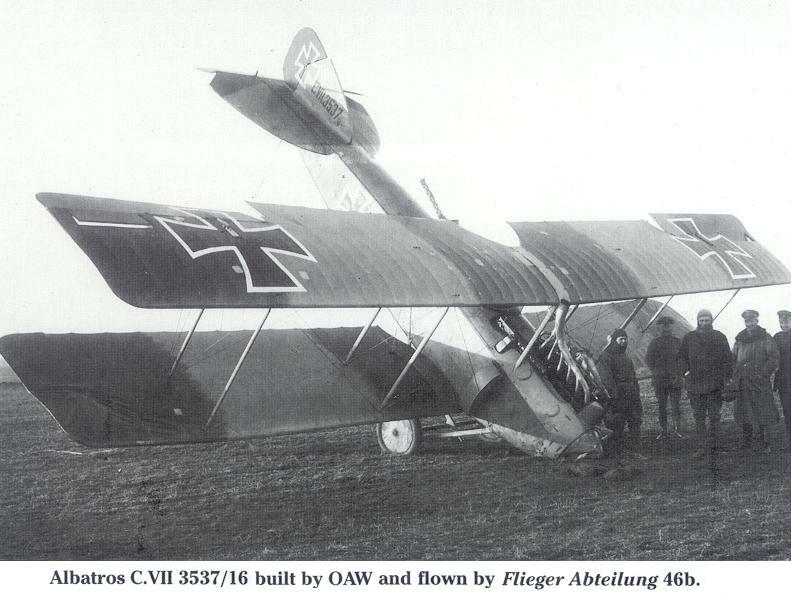 Wing area, 43.4 sq.m. (468.72 sq.ft.). Weights: Empty, 989 kg. (2,176 lb.). Loaded, 1,550 kg. (3,410 lb.). Performance: Maximum speed, 170 km.hr. (106.25 m.p.h.). Initial climb, 1,000 m. (3,260 ft.) in 8 min. Ceiling, 5,000 m. (16,400 ft.). Duration, 3 hr. 20 min. 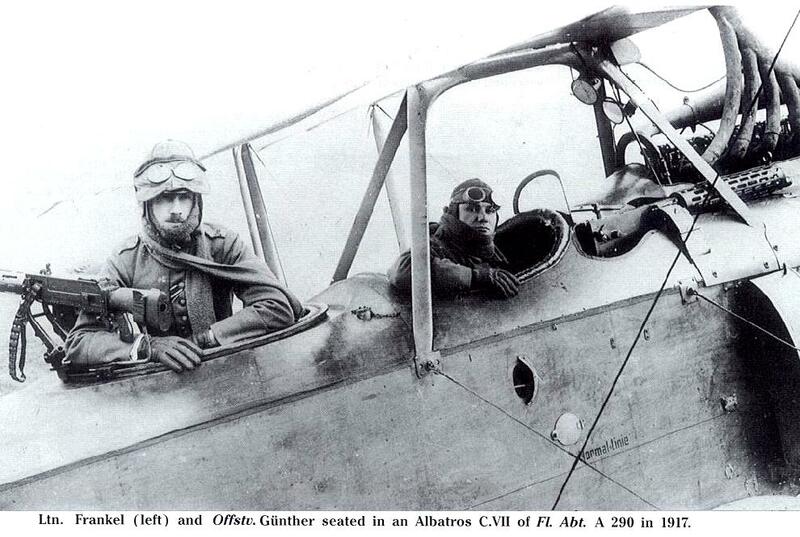 Armament: Two machine-guns. 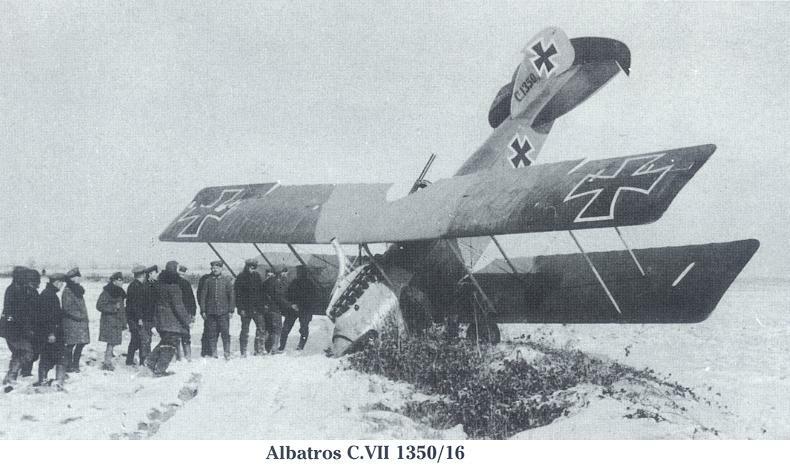 One fixed, firing forward for pilot. One free-firing for observer. Light bomb load carried occasionally, according to tactical requirement. 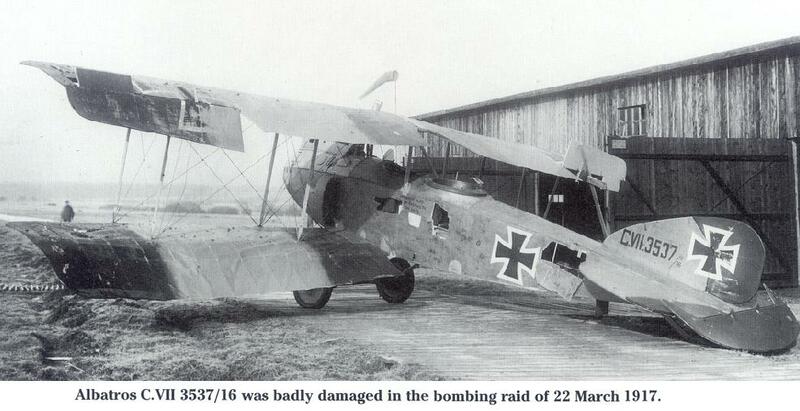 Evolved in 1917 as a night bomber, as indicated by the N suffix. 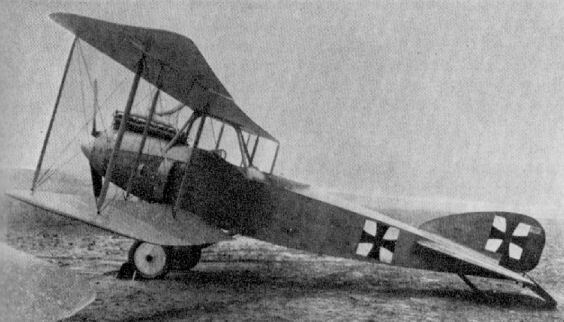 A small bomb load was carried under the lower wings, but as this relatively large, three-bay machine was only fitted with the 160 h.p. Mercedes D III engine, it was grossly under-powered. It is doubtful if more than one such machine was built. Span, 16.74 m. (54 ft. 11 1/8 in.). Length, 7.34 m. (24 ft. 1 in.). Speed, 135 km.hr. (84.35 m.p.h.). Climb, 1,000 m. (3,280 ft.) in 5 min. 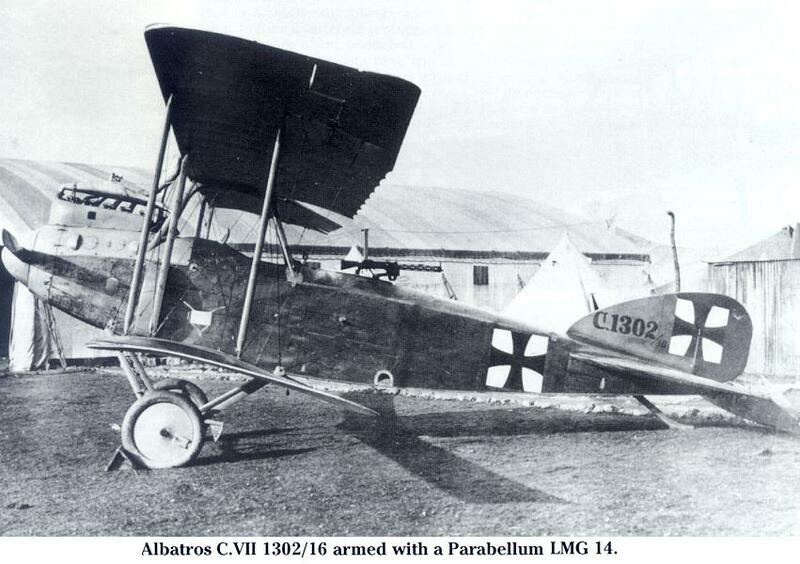 Armament, one Spandau and one Parabellum machine-gun. 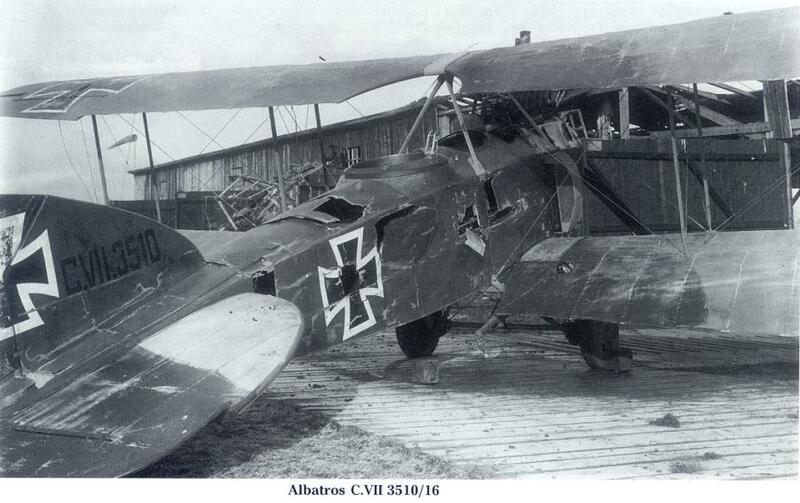 "Альбатрос" C-VII ВВС Германии, 1917г. 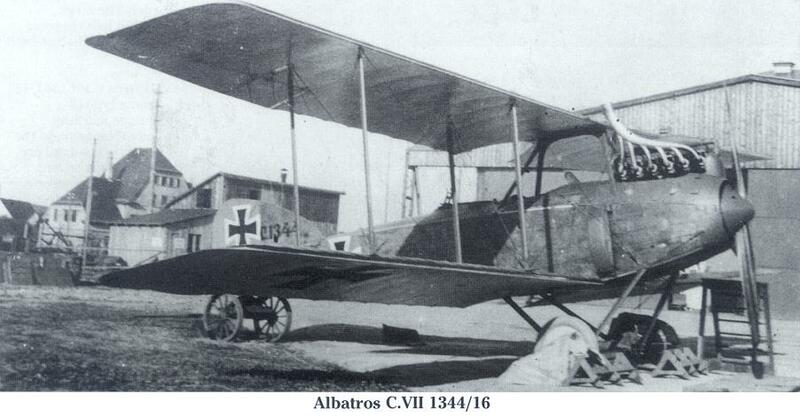 The Albatros CVII entered service late in 1916 and by the following February some 350 were in use for reconnaissance and artillery observation. 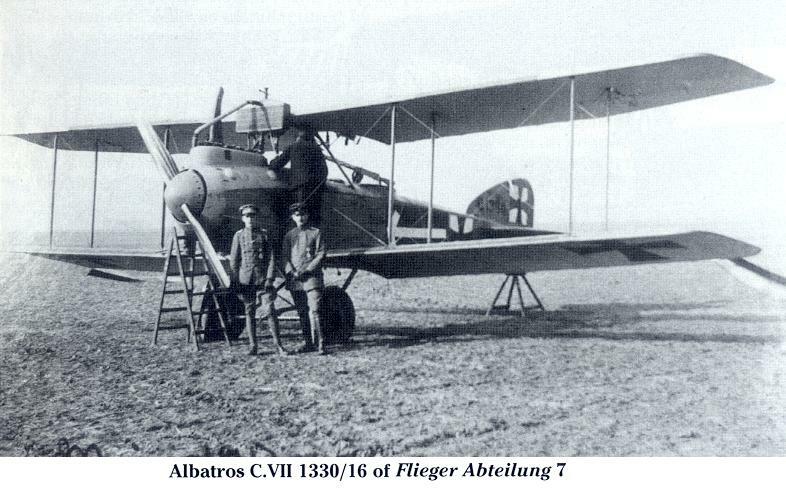 Built in substantial numbers, the Albatros C VII entered operations near the close of 1916. 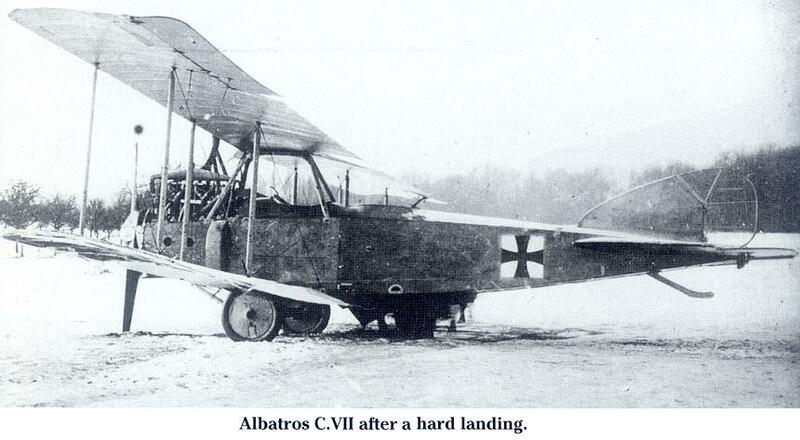 Hastily developed to circumvent the engine-related unreliability being experienced by their CV, the CVII used the 200hp Benz Bz IV. 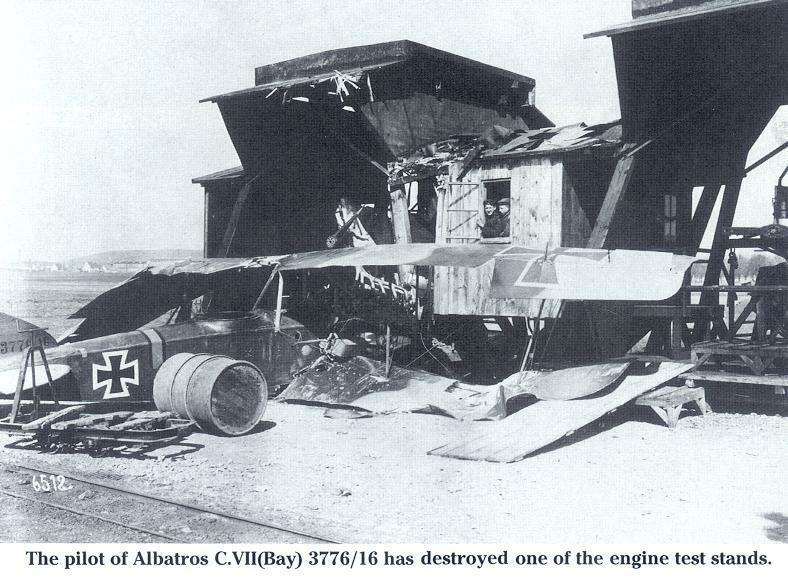 With this engine, the CVII proved reliable and equally at home doing relatively high level reconnaissance at its ceiling of 16,400 feet, or doing its infantry support task of strafing trenches with its short range 200lb bomb load. 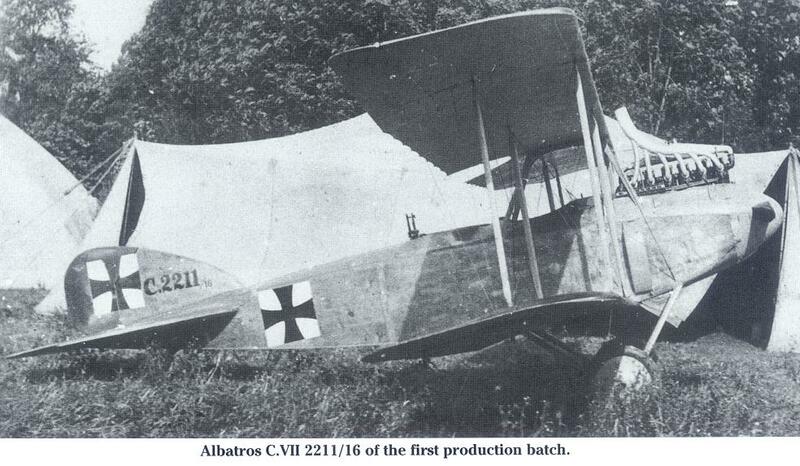 At least 350 Albatros C VIIs had been delivered by the parent company and its two sub-contractors by February 1917.